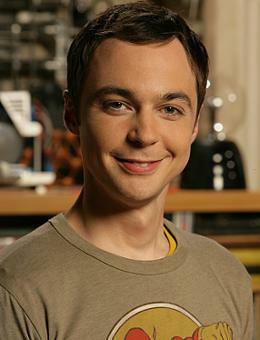 James Joseph "Jim" Parsons (born March 24, 1973) is an American actor. 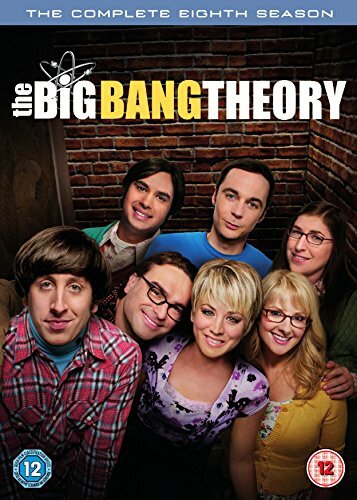 He is best known for playing Sheldon Cooper on the CBS sitcom The Big Bang Theory, with his performance often cited as a significant reason for the program's success. He has received several awards for his performance, including the Television Critics Association award for the highest individual achievements in comedy, the National Association of Broadcasters Television Chairman's Award for a significant breakthrough in a specific art discipline, three Emmy Awards for Outstanding Lead Actor in a Comedy Series and the Golden Globe Award for Best Actor in a Television Series Musical or Comedy. Parsons was born and raised in Houston, and one of its northern suburbs, Spring, the older of two children of Judy, a teacher, and Milton "Jack" Parsons. He attended Klein Oak High School in Spring, Texas, Parsons points to a role in Noises Off during his junior year as the first time "I fully connected with the role I was playing and started to truly understand what it meant to be honest on stage." After playing the role of the Kola-Kola bird in a school production of The Elephant's Child at age six, Parsons was determined to become an actor. The young Parsons was heavily influenced by sitcoms, particularly Three's Company, Family Ties, and The Cosby Show. After graduating from high school, Parsons received an undergraduate degree from the University of Houston. He was prolific during this time, appearing in 17 plays in 3 years. He was a founding member of Infernal Bridegroom Productions, and regularly appeared at the Stages Repertory Theatre. Parsons enrolled in graduate school at the University of San Diego in 1999. He was one of seven students accepted into a special two-year course in classical theater, taught in partnership with the Old Globe Theater. Program director Rick Seer recalled having reservations about admitting Parsons, saying, "Jim is a very specific personality. He's thoroughly original, which is one reason he's been so successful. But we worried, 'Does that adapt itself to classical theater, does that adapt itself to the kind of training that we're doing?' But we decided that he was so talented that we would give him a try and see how it worked out." Parsons enjoyed school, and told an interviewer that he would have pursued a doctorate in acting if possible: "school was so safe!...you frequently would surprise yourself by what you were capable of, and you were not surprised by some things." Parsons graduated in 2001 and moved to New York. Parsons traced his family's history on TLC's Who Do You Think You Are? in September 2013 and discovered Louisiana Creole and French heritage from his father's side. One of his ancestors was the French architect Louis-François Trouard (1729-1804). Parsons lives in Los Angeles. In May 2012, a feature article in The New York Times noted that Parsons is gay and at the time had been in a relationship for the last ten years. His partner is art director Todd Spiewak. In November 2013 Parsons was named by Out Magazine as the Out100 Entertainer of the Year.